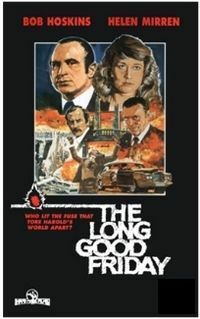 The Long Good Friday is a British gangster film starring Bob Hoskins and Helen Mirren. It was completed in 1979 but, because of release delays, it is generally credited as a 1980 film. It was voted at number 21 in the British Film Institute's list of the 100 favourite British movies of the 20th century.